Short QT syndrome (SQTS) is a hereditary lethal arrhythmia; it was first described in 2000. SQTS is characterized by an abnormal short QT interval on electrocardiogram (ECG), and causes arrhythmia, such as ventricular fibrillation and atrial fibrillation. 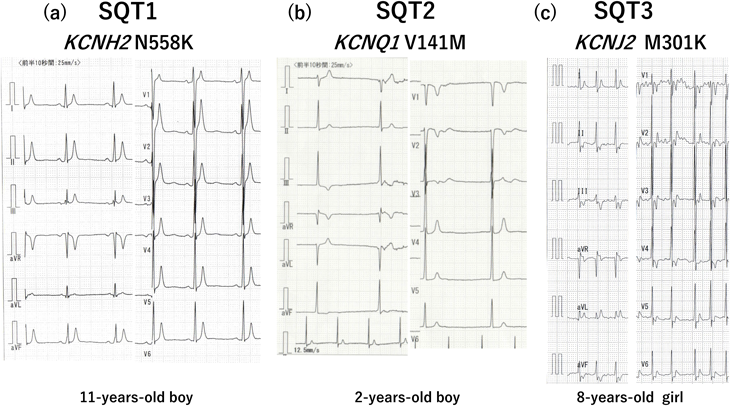 Although clinical characteristics of SQTS have not been appropriately elucidated, several victims, individuals in the teenage and those in their 20s, have been reported. Therefore, SQTS diagnosis at an early age is important and is recognized as a concern in a school screening program for heart disease. 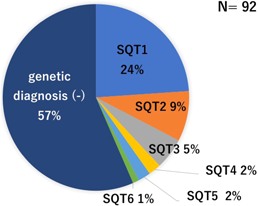 According to an expert consensus statement published in 2013, even an asymptomatic individual with a short QT interval, who has neither a family history nor a pathogenic gene mutation, can be diagnosed with SQTS. 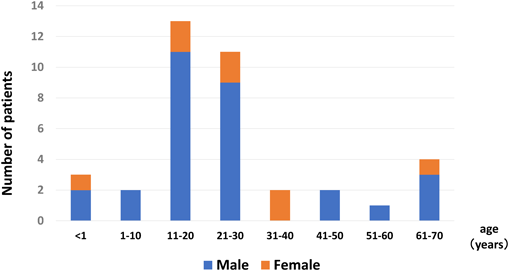 Studies with various adult populations have identified individuals who met the SQTS diagnostic criteria; however, these patients were asymptomatic and did not have a poor prognosis. 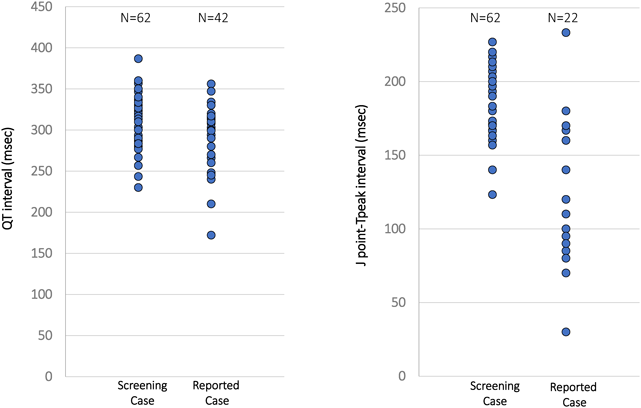 Some asymptomatic children and adolescents with SQTS were also identified in our study, in which we mainly focused on a school screening program for heart disease. Risk stratification of SQTS is necessary because clinical characteristics of SQTS are variable, including no symptoms and sudden cardiac death. 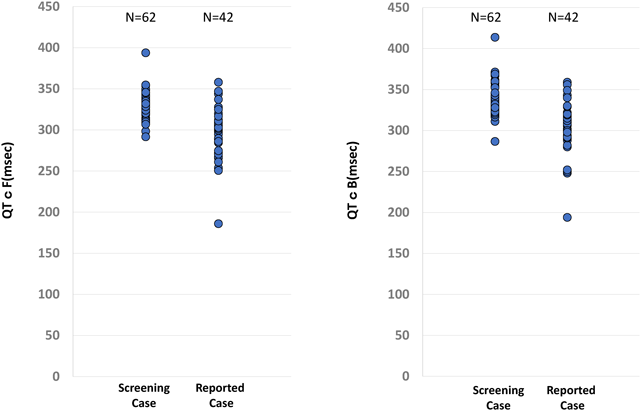 Hence, we compared the ECGs of asymptomatic individuals with a short QT interval in a school screening program for heart disease with those of previously reported symptomatic patients with SQTS, to screen for SQTS patients with a high risk. A prospective study thus needs to be conducted to elucidate the prognosis of asymptomatic patients with SQTS who are diagnosed in their childhood. 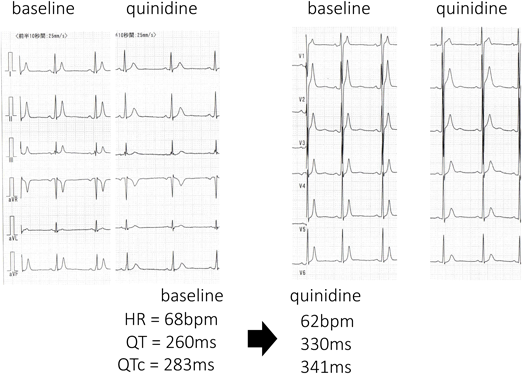 (a) Electrocardiogram in a normal subject (upper panel) and a patient with SQTS (lower panel). The QT interval is abnormally shortened in a patient with SQTS. 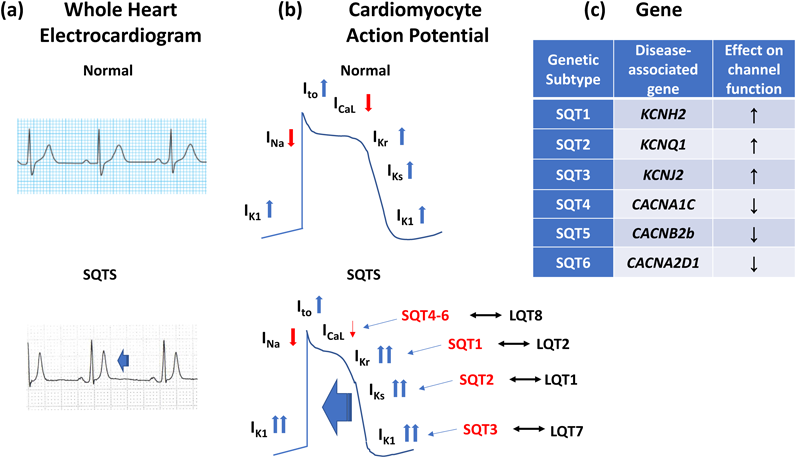 (b) Contributions of ionic currents to an action potential in a ventricular cardiomyocyte in a normal subject (upper panel) and a patient with SQTS (lower panel). Red and blue arrows indicate inward and outward currents, respectively. In a patient with SQTS, an abnormal decrease in the inward current or an abnormal increase in the outward current causes shortening of the action potential duration. In SQT1, SQT2, SQT3, and SQT4-6, IKr, IKs, IK1, and ICaL are affected, respectively. Double headed arrows indicate an allelic relationship. (c) Genes causing SQTS. IK1, background potassium; INa, fast inward sodium current; Ito, early transient outward potassium current; ICa, inward calcium current; IKr, rapid delayed rectifier potassium current; IKs, slow delayed rectifier potassium current; LQT1, 2, 7, and 8 indicate long QT syndrome types 1, 2, 7, and 8, respectively. The group of “genetic diagnosis (−)” comprised patients in whom the genetic test was not performed, indicated negative or was not reported. Red font indicates differences from the European Society of Cardiology guideline (Table 3). Red font indicates differences from expert consensus recommendations (Table 2). Modified based on reference 7. 過去のSQTS患者についての報告で，1）有症状，2）SQTSまたは若年突然死の家族歴，3）遺伝子診断確定，のうち少なくとも一つを満す既報例を対象として，臨床像をまとめた4, 6, 11–24）．対象患者は92例だった．Bazett補正QTcは194～377 msであった．うちQTc＞360の2例は遺伝子診断され，突然死の家族歴があった6）．それ以外の症例は3大陸合同のExpert consensus statementの診断基準を満たしていた．約6割が遺伝子型不明であった（Fig. 2）. 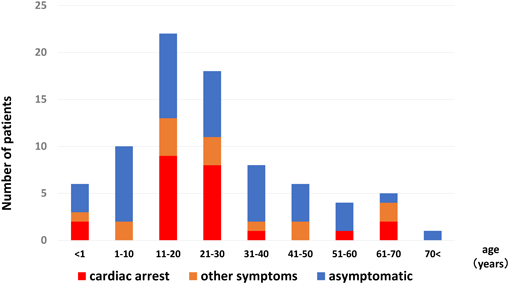 Age at the time of diagnosis is shown in asymptomatic patients with SQTS. (a) SQT1; T waves are narrow, tall, and peaked in our case. (b) SQT2; T waves are neither tall nor peaked (data were kindly provided by Dr. Tateno, Chiba Cerebral and Cardiovascular Center, Ichihara, Japan). (c) SQT2; T waves are asymmetrical with a rapid ascending phase (data were kindly provided by Dr. Ehara, Osaka City Hospital, Osaka, Japan). 生活管理や治療に関するエビデンスは乏しく，運動制限の有効性は示されていない．薬物治療も十分と言えるエビデンスはないが，キニジンの有効性が報告されている．特にSQT1でQT間隔が正常化する例があり心イベント抑制効果が期待される25, 27）（Fig. 6）．ソタロールなどのIII群薬はSQT1に対するQT延長効果は乏しいが，他のサブタイプで効果が期待されている．Expert consensus statement1）や欧州心臓病学会のガイドライン2）では，「突然死の家族歴のある無症状例に対してキニジンやソタロール投与を考慮しても良いかもしれない」としている（class IIb）. The group of “Screening Case” comprised 1st and 7th grade children aged 6 and 12 years, respectively, who participated in a school screening program for heart disease. QTcF and QTcB indicate the QT interval corrected by Fridericia’s and Bazett’s formulas, respectively.